Glen Johnson's late winner gave Liverpool victory as Chelsea's indifferent run of form continued. The Reds recorded a Premier League double over Chelsea last season - and secured three points again as Johnson produced a moment of individual brilliance to clinch victory with three minutes left. The recalled Maxi Rodriguez crowned a sweeping passing move to give the visitors a half-time lead, but Blues boss Andre Villas-Boas looked to have changed the course of the game when substitute Daniel Sturridge equalised after the interval. Johnson made his spectacular intervention against his former club just as the points looked set to be shared, taking Charlie Adam's pass in his stride before cutting through the hosts' defence to beat Petr Cech. Liverpool manager Kenny Dalglish celebrated wildly on the touchline, but it was total despair for Villas-Boas as Chelsea slumped to their third loss in four Premier League games. 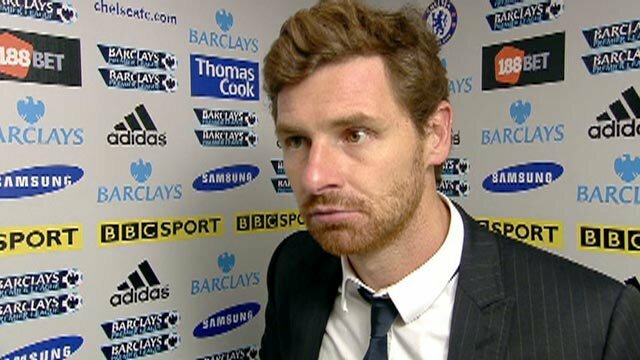 And of great concern to Villas-Boas will be the fact that their high-profile meetings with Manchester United, Arsenal and now Liverpool have all ended in defeat. The Londoners stand 12 points behind leaders Manchester City and on this evidence their hopes of winning the title may have already disappeared. Chelsea officials insisted before kick-off that reports of the first cracks surfacing in the relationship between Villas-Boas and owner Roman Abramovich were "total nonsense", but there is no question their form has deteriorated after a competent rather than spectacular start to the season. For Liverpool, the joy at the final whistle was a world away from the jeers that greeted the goalless draw with Swansea at Anfield in their last league game. Villas-Boas and Dalglish left £85m of striking talent on the bench as £50m Fernando Torres missed out on the chance to start against his former club and Andy Carroll was excluded from Liverpool's starting line-up. They only made late appearances, with Torres introduced in a vain attempt to win the game for Chelsea and Carroll emerging as Liverpool tried to ensure they would hang on to their lead. Chelsea's first-half display was lamentable but they did create an early opportunity when Juan Mata fired across the face of goal, while large sections of the Stamford Bridge crowd thought they had taken the lead when Didier Drogba's free-kick hit the side-netting. Liverpool, in contrast, were composed and ordered with the movement of Luis Suarez and Craig Bellamy a constant threat, especially to the indisciplined David Luiz. Chelsea were unable to pierce the visitors' midfield and the visitors went ahead after 33 minutes when Jon Obi Mikel conceded possession to Adam in dangerous territory. Suarez then found Bellamy, whose perfect pass was an open invitation for Maxi to sweep his finish past Cech. Dalglish's side ended the opening 45 minutes in complete command - forcing Villas-Boas to respond by removing the labouring Mikel and sending on Sturridge. The change was rewarded 10 minutes after the restart when Florent Malouda was allowed too much time and space to run into the area before crossing for Sturridge to tap in to an unguarded net. As the momentum changed, Pepe Reina produced a brilliant save from Branislav Ivanovic's low header with Chelsea sensing the game was now turning in their favour. Liverpool, for the first time, were in retreat and Malouda should have put Chelsea in front with 16 minutes left, only to scuff a finish across the face of goal with Reina exposed. Chelsea introduced their two former Reds players, Torres and Raul Meireles, with six minutes left - but it was Dalglish's side that immediately had a chance to regain their advantage. 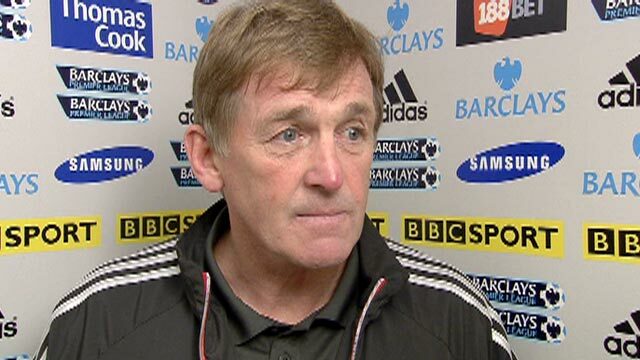 Substitute Jordan Henderson skipped past a succession of challenges to allow Downing to set up Dirk Kuyt who shot wastefully wide, much to Dalglish's obvious disgust. Chelsea failed to heed the warning and Liverpool made no mistake when they created another opportunity with three minutes remaining. Adam's raking pass found Johnson, who evaded Ashley Cole and Malouda to score with great composure and give Liverpool their latest Stamford Bridge win. 90:00+3:13 The referee brings the game to a close. 90:00+2:33 Long range effort by Raul Meireles goes wide right of the target. 90:00+1:18 John Terry fouled by Andy Carroll, the ref awards a free kick. Direct free kick taken by Ashley Cole. 88:45 Substitution Andy Carroll is brought on as a substitute for Luis Suarez. 88:12 Effort from long range by Luis Suarez goes wide left of the goal. 86:44 Assist by Charlie Adam. 86:44 GOAL - Glen Johnson:Chelsea 1 - 2 Liverpool Glen Johnson grabs a goal from inside the penalty box to the bottom left corner of the goal. Chelsea 1-2 Liverpool. 86:16 Daniel Sturridge has shot on goal from just outside the penalty box which goes wide of the right-hand upright. 85:17 Effort from deep inside the area by Dirk Kuyt misses to the left of the goal. 84:19 Florent Malouda produces a cross. 83:11 Substitution Raul Meireles comes on in place of Ramires. 83:11 Substitution (Chelsea) makes a substitution, with Fernando Torres coming on for Didier Drogba. 80:35 Daniel Agger is ruled offside. Petr Cech restarts play with the free kick. 80:10 Inswinging corner taken by Charlie Adam, save by Petr Cech. 79:31 Outswinging corner taken left-footed by Charlie Adam from the left by-line, clearance made by David Luiz. 78:18 Free kick crossed left-footed by Charlie Adam, Ramires manages to make a clearance. 78:18 Booking Branislav Ivanovic goes into the book. 78:14 Branislav Ivanovic challenges Luis Suarez unfairly and gives away a free kick. 76:43 Substitution Stewart Downing on for Rodriguez Maxi. 75:37 Juan Mata takes a shot. Martin Skrtel gets a block in. Corner taken left-footed by Juan Mata from the left by-line, Shot from just outside the box by Daniel Sturridge misses to the right of the target. 74:46 The ball is swung over by Branislav Ivanovic, Shot from inside the six-yard box by Florent Malouda goes wide right of the target. 72:57 Foul by Didier Drogba on Glen Johnson, free kick awarded. Jose Reina takes the direct free kick. 72:11 Luis Suarez challenges John Terry unfairly and gives away a free kick. John Terry restarts play with the free kick. 71:29 The ball is delivered by Florent Malouda, Header from deep inside the area by Didier Drogba goes harmlessly over the crossbar. 69:16 Shot by Florent Malouda from deep inside the penalty area misses wide to the left of the target. 65:30 Substitution Craig Bellamy goes off and Jordan Henderson comes on. 65:19 The ball is sent over by Ashley Cole. 63:20 Free kick taken by John Terry. 63:20 Booking Dirk Kuyt shown a yellow card. 63:14 Dirk Kuyt challenges Florent Malouda unfairly and gives away a free kick. 61:17 Leiva Lucas takes the free kick. 61:17 Booking Ramires is cautioned by the ref for unsporting behaviour. 61:13 Free kick awarded for a foul by Ramires on Martin Skrtel. 59:42 Centre by Florent Malouda, Martin Skrtel manages to make a clearance. 58:54 Daniel Sturridge gives away a free kick for an unfair challenge on Sanchez Jose Enrique. Direct free kick taken by Sanchez Jose Enrique. Luis Suarez has a shot on goal from outside the area which misses left. 58:18 Frank Lampard challenges Glen Johnson unfairly and gives away a free kick. Martin Skrtel takes the direct free kick. 58:03 The ball is delivered by Didier Drogba, Daniel Agger manages to make a clearance. 57:44 Frank Lampard takes a shot from 25 yards. Blocked by Daniel Agger. 57:18 Centre by Ashley Cole, save made by Jose Reina. 56:35 Juan Mata takes a shot. Jose Reina makes a save. 55:41 Charlie Adam challenges Ashley Cole unfairly and gives away a free kick. Didier Drogba produces a cross, Branislav Ivanovic takes a shot. Save made by Jose Reina. Short corner worked by Juan Mata. 54:23 Assist on the goal came from Florent Malouda. 54:23 GOAL - Daniel Sturridge:Chelsea 1 - 1 Liverpool Daniel Sturridge scores a goal from close range to the bottom left corner of the goal. Chelsea 1-1 Liverpool. 54:22 Florent Malouda takes a shot. 53:56 Florent Malouda sends in a cross, clearance by Daniel Agger. 53:18 Florent Malouda crosses the ball, clearance made by Daniel Agger. 50:53 Corner taken right-footed by Craig Bellamy from the left by-line to the near post, Frank Lampard manages to make a clearance. 49:30 Inswinging corner taken by Juan Mata from the right by-line, Daniel Agger makes a clearance. 49:01 Shot from outside the area by Sanchez Jose Enrique misses to the left of the target. 48:12 Effort from the edge of the box by Didier Drogba goes wide of the right-hand upright. 47:34 Free kick awarded for an unfair challenge on Branislav Ivanovic by Luis Suarez. Direct free kick taken by Ramires. 45:49 Florent Malouda challenges Dirk Kuyt unfairly and gives away a free kick. Shot comes in from Charlie Adam from the free kick. 45:01 Substitution Daniel Sturridge on for Mikel. 45:00+1:55 It is the end of the first-half. 45:00+0:47 Free kick awarded for an unfair challenge on Florent Malouda by Glen Johnson. Didier Drogba crosses the ball from the free kick right-footed from left by-line, clearance made by Glen Johnson. Inswinging corner taken by Juan Mata from the right by-line played to the near post, Header from close range by David Luiz misses to the right of the goal. 43:52 Inswinging corner taken left-footed by Charlie Adam played to the near post, clearance by Frank Lampard. 42:28 Daniel Agger fouled by Didier Drogba, the ref awards a free kick. Free kick taken by Jose Reina. 40:59 Luis Suarez produces a shot on goal direct from the free kick. 40:59 Booking David Luiz goes into the referee's book. 40:56 Charlie Adam fouled by David Luiz, the ref awards a free kick. 39:30 Ramires gives away a free kick for an unfair challenge on Leiva Lucas. Daniel Agger takes the direct free kick. 37:44 Craig Bellamy is penalised for handball and concedes a free kick. Free kick taken by John Terry. 36:22 Centre by Florent Malouda, clearance made by Martin Skrtel. Florent Malouda takes a outswinging corner from the left by-line played to the near post, Leiva Lucas manages to make a clearance. Corner taken left-footed by Florent Malouda from the left by-line, Header from deep inside the area by Branislav Ivanovic goes harmlessly over the crossbar. 34:15 Unfair challenge on Ashley Cole by Craig Bellamy results in a free kick. Frank Lampard takes the free kick. 32:59 The assist for the goal came from Craig Bellamy. 32:59 GOAL - Rodriguez Maxi:Chelsea 0 - 1 Liverpool Rodriguez Maxi finds the back of the net with a goal from inside the box to the bottom right corner of the goal. Chelsea 0-1 Liverpool. 30:19 Sanchez Jose Enrique fouled by Juan Mata, the ref awards a free kick. Jose Reina takes the direct free kick. 28:19 Direct free kick taken by Petr Cech. 28:19 Booking Leiva Lucas receives a caution for unsporting behaviour. 28:08 Leiva Lucas gives away a free kick for an unfair challenge on David Luiz. 27:18 Foul by Charlie Adam on Didier Drogba, free kick awarded. Mikel takes the direct free kick. 22:16 The ball is sent over by Glen Johnson, Petr Cech makes a save. 19:58 Foul by Daniel Agger on Didier Drogba, free kick awarded. Didier Drogba fires a strike on goal direct from the free kick. 18:52 Free kick awarded for a foul by Mikel on Glen Johnson. Leiva Lucas takes the free kick. 17:53 Unfair challenge on David Luiz by Charlie Adam results in a free kick. Free kick taken by David Luiz. 13:20 Glen Johnson takes a shot. Save made by Petr Cech. 12:24 Craig Bellamy crosses the ball, Branislav Ivanovic makes a clearance. Inswinging corner taken left-footed by Charlie Adam played to the near post, clearance made by Juan Mata. 11:52 Foul by Ramires on Rodriguez Maxi, free kick awarded. Charlie Adam restarts play with the free kick. 10:49 Effort on goal by Mikel from long range goes harmlessly over the bar. 9:53 Florent Malouda produces a cross, Juan Mata takes a shot. 9:24 Craig Bellamy handles the ball and concedes a free kick. Free kick taken by Mikel. 4:52 Branislav Ivanovic gives away a free kick for an unfair challenge on Rodriguez Maxi. Daniel Agger restarts play with the free kick. 2:26 Mikel is penalised for handball and concedes a free kick. Direct free kick taken by Sanchez Jose Enrique. 1:27 The referee blows for offside against Didier Drogba. Jose Reina restarts play with the free kick.